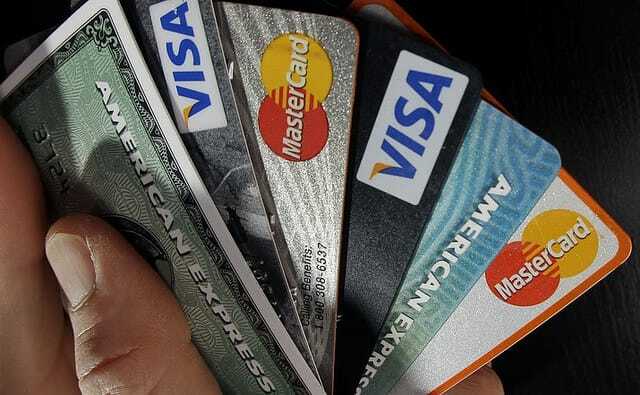 How Many Credit Cards are Too Many? This Guy Has 1,500! I don’t like having a full wallet. Once I start carrying around more than one credit card, I get stressed. The pressure to shop until I drop is just too great. So, I regularly clean out my wallet and use the same credit card over and over, for most of my purchases. Turns out, I’m not much different from Walter Cavanaugh. Except I have a handful of credit cards to my name… and Cavanaugh has 1,497. He has so many credit cards, he’s been dubbed Mr. Plastic Fantastic by the Guinness Book of World Records since 1971, according to a profile by ABC News. Cavanaugh started collecting credit cards in a bet with a friend in the 1960s, ABC News reports. Cavanaugh quickly left his buddy in the dust, and eventually found himself with $1.7 million available in credit. He’s got cards from everything from airlines to gas stations to independent shops. But he’s not flipping through his wallet every time he wants to make a purchase. It’s probably a good thing — he also holds the record for world’s longest wallet. Most of his 1,497 cards are stored in safe deposit boxes. He relies on one card to get him through his day-to-day purchases. Cavanaugh’s in an ideal debt situation — he doesn’t have much debt, if any. But if he wasn’t so frugal, it’s easy to imagine the ways he could put his thousand-plus credit cards to use. He could use balance transfer offers to keep bouncing debt from card to card, eventually paying off charges without hefty interest fees. He could also rake up major points on his miles credit cards and travel around the world. But maybe it’s best that Cavanaugh lives a quiet life with just one collection to keep him busy. Credit cards take up way less space than a collection of Precious Moments dolls or project cars. But can you imagine the amount of mail — both monthly statements and credit card offers — he must get each day? Oh, the burden of holding a world record. To learn more about Walter Cavanaugh’s credit card collection, visit ABC News. Lisa Rowan is a writer, editor, and podcaster living in Washington, D.C. She gets miles on the only credit card she uses regularly and earns about four free flights each year.